The School of Architecture of the Technical University of Crete, is one of the most prestigious higher education institutions in Greece with a distinction in research related to the cultural heritage of the Mediterranean and its possible adaptive reuse for the sake of sustainable social, environmental and economic development. The School is providing with both undergraduate and graduate relative curriculi as well as conducts research on a series of relative topics. Cultural Heritage is a complex concept, constantly evolving through time, and combining historical, cultural, aesthetic, symbolic, spiritual, but also economic, social and political dimensions. It includes a wide range of archaeological sites, monuments, objects, traditions and culture, but not only. As a concept, it brings to mind monuments, buildings and artifacts inherited from the past, but today it includes many other aspects of human creativity and expression, even photographs, documents, books, instruments, towns and natural sites. It is both tangible and intangible. It is much more than preserving, excavating, displaying, or restoring a collection of old things. Furthermore, cultural heritage is today considered an activity with far-reaching economic and social impact. Whilst it is a part of the historical past, it is an element of the living present, as well as a constituent of the future to be created. It should be the subject of public reflection and debate on what is worth saving, what priorities should be put on preservation and what the economic effects of heritage activities are. Cultural heritage can operate as a platform for local recognition, as a medium for intercultural dialogue, as a means of aesthetic reflection, and as a generator of sustainable development; it is a component of urban and regional planning, a factor of economic development at regional and local level, a generator of identity and branding for places and a viable basis for a new generation of tourism investments. 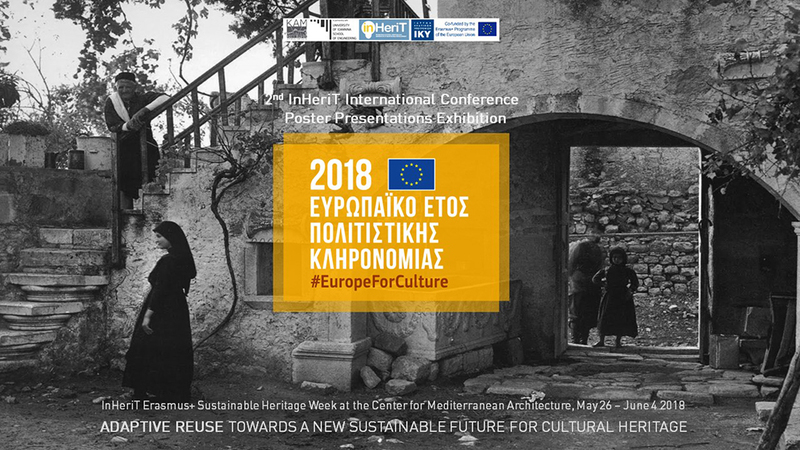 InHeriT is a joint interdisciplinary ERASMUS+ project aiming to increase public awareness on the economic value of heritage and its crucial role in generating regional and local development. 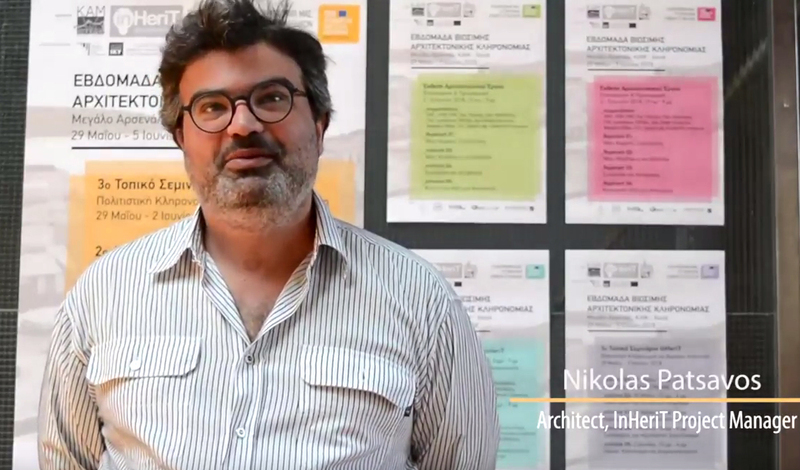 InHeriT involves a series of seven partners from Greece, Cyprus, Italy and the UK: TU Crete Architecture School (coordinator), UoA Dept. of Economics, Middlesex University Business School, Neapolis of Pafos Architecture School, Maniatakeion Foundation, Fondazione Flaminia from Ravenna and the Center for Mediterranean Architecture, Municipality of Chania. InHeriT is now preparing three public seminars in Messinia, Pafos and Chania, a second international conference in Chania and a series of relative intellectual outputs documenting and supporting the aboveAll InHeriT work is constantly updated and shared online with the public while also communicated at the occasion of press conferences, tv talk shows and articles in the local, national and international press, as well as in the social media and the web. This presentation is going to shortly share the above ideas and findings in an attempt to highlight a much needed new sustainable development strategy investing on cultural heritage.